Home > The Issues > The Garage: A fun, safe, chill out space for at-risk young people. 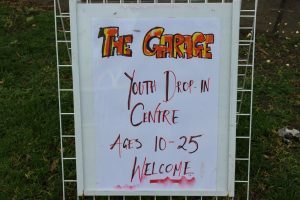 Anglicare Victoria’s youth program The Garage in Melbourne’s Western suburbs has been running for the past 15 years and is very well-known through the local community of young people, with word of mouth generally the way young people hear about the Garage Program. The aim of The Garage is to provide a safe place for at-risk youth who are not engaged in education or training. The young people, who attend each Wednesday afternoon when The Garage is open, can speak with youth workers and other external health and wellbeing services, hang out, take part in activities on offer and be referred to an external service if required. Many regulars attend the program, with some waiting at the door as soon as it’s open on a Wednesday, which has made The Garage a place where young people just know to go to. Later in the afternoon, high school kids drop by for a bite to eat and catch up with the other young people. 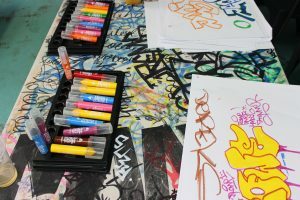 Many services visit the centre on a weekly basis to engage with the young people, including Co-Health nurses, Alcohol and Drugs specialists, Melbourne City Mission and employment specialists with the aim of helping the young people where needed. Renee is a Youth Program Worker at The Garage and says the space is a fun and welcoming spot for young people to hang out. “So they’re not in school, they’re not at work, they may be engaged with a job search provider. However, they are still not receiving the support needed to enhance their future prospects. The Garage offers a place to assist with this and aid in pinpointing programs or services that can brighten their future prospects. Renee recalls a 22-year-old girl who was attending the garage regularly had trouble finding work. By calling into the Youth Garage, she was able to receive help from a job skills specialists who reviewed her resume and encouraged her to go and hand the resumes out. Just having the conversation really encouraged and helped the girl gain confidence with finding work. 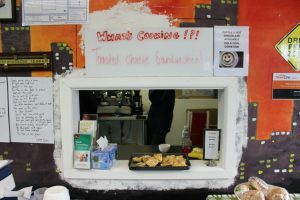 As well as a referral point, it’s also a hub for fun, with a BBQ taking place each week and coffee on offer as well as activities to acknowledge days such as Harmony Day and White Ribbon Day. “There aren’t many youth programs that are just very open so this is what this program is, so there’s no structure, you don’t have to do the activities it’s participation by choice so it makes it very welcoming, it’s not too overwhelming for young people. So it’s been great, I love the program,” says Renee.